Dear Friends: The plans to build International Cricket Stadium was stopped by National Green Tribunal in Chennai. GHHF strongly oppose any attempts to dilute the sacredness of Tirumala. 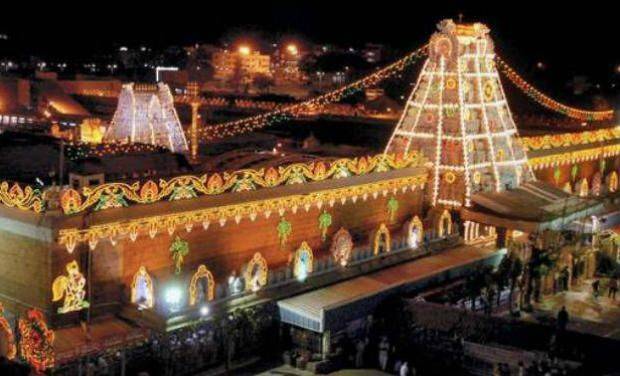 GHHF is planning to submit a proposal to declare certain square kilometers from Tirupathi as Sacred and no other religious organizations or activities will be allowed. Examples from Mecca and Vatican are suffice it to make a case for keeping the Tirupathi as Sacred Place. Pujya Sri ParipoornanandaSwamiji and Dr. Ghazal Srinivas will be going to Tirupathi on November 3oth and try to resolve the issue very soon and make sure the Cricket Satdium will not be built any where near Tirupathi. Please read the article published in Deccan Chronicle. Since both of are going to Tirupathi, they will address the issue of Islamic University and plans for the construction of Vakulamata Temple. Chennai: The southern bench of the National Green Tribunal in Chennai on Thursday halted a move to construct an international cricket stadium at the foot of the Tirumala hills, for which Andhra Pradesh chief minister N. Kiran Kumar Reddy laid the foundation sto­ne on Wednesday. The bench, comprising judicial member Justice M. Chockalingam and ex­­p­ert member R. Nage­ndran, said the Tribunal felt that the proposed pl­an was likely to affect the environment and ought to be stopped immediately by way of an order of interim injunction. “If four lakh fully gro­wn trees, including precious red sanders, are cut, the region, a catchment area for water flowing down from the hills, would definitely be affected and cause enormous damage to the ecology, endanger wildlife and also degrade the environment. Hence, it requires immediate inte­rv­ention by the Trib­u­nal. Taking suo mo­tu cognizance of a news item published in a daily, the registry is directed to take it on file as an application,” the bench added. The Tribunal has re­trained the authorities from taking any further steps in the plan to construct the international c­ricket stadium at the foot of the Tirumala Hi­lls and directed them to appear at the next hearing along with their ex­planation in this regard. The bench issued a notice to the secretary, Un­ion ministry of environment and forests, ch­ief secretary to the Gov­ernment of AP, secretary, departm­ent of environment and forests, prin­c­ip­al chief conservator of fo­rests, chairman, AP Pol­­lution Control Board, Hy­­derabad, chairman, Bo­ard of Trustees and ex­ecutive officer, Tir­um­ala Tirupati Devasthanams, and president of AP Cr­icket Association. The member secretary of the Andhra Pradesh Pollution Control Board was directed to take a videograph of the area and produce this in person before the Tribunal at the next hearing. The bench has posted the matter for December 10.